A good RV motorhome insurance policy is very important for all those who full-time RV travel with kids. Selecting a quality policy with the proper RV insurance coverage is extremely important. RV insurance professions from companies such as Progressive RV insurance and Good Sam RV insurance are a good place to start looking for your policy. There are a few good reasons to purchase RV motorhome insurance (or insurance for RV 5th wheelers or travel trailers). If you financed your rig or you call a state that requires insurance for your travel trailer your domicile, then you will be required to purchase RV insurance. If you are a full-time RV traveler, your rig is your home. The contents of your home (which you carry at all times) needs to be insured in case of theft, accident, fire, or other tragedy. And these tragedies do happen. The most important thing to realize when purchasing RV motorhome insurance is that many companies who offer insurance do not offer a good full-timer's policy. What's the difference? Well, a typical policy from a regular run-of-the-mill insurer will protect you in an accident, but does not cover very much. Remember, this is your home, not a weekend hobby. These typical policies cover very little in regards to your personal property should you loose it, and include major gaps on everything else. Make sure you are talking with a true RV insurance professional and get a full timers policy with some of the following types of coverages. RVs are bigger than cars. They can do a lot more damage. Make sure your policy has higher liability coverage than your vehicle on its own. It wouldn't be good to have your RV take out more damage than it was covered for. Since your RV is your home, there are policy coverages that will allow you to basically get a mini homeowners policy that will cover accidents and injuries on your property, your campsite, and to others much the same way a typical home owner's policy will protect you. Not a full timer? There is another form of coverage similar for part-timers...ask your RV insurance professional. If you have a newer RV, under 5 years, you can add on coverage for replacement if your RV suffers from total loss. Since RV depreciate rather rapidly, this can be a good coverage to have. 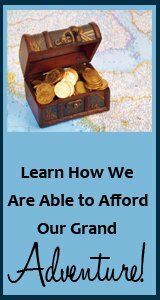 Since you carry all your belongings with you, the contents of your RV are probably worth more than the contents of a part-timer. For those getting RV motorhome insurance, it is important to add on additional coverage that protects against the actual dollar amount of your belongings, not just a fraction of it as most coverages. This is the policy coverage that will cover your hotel, food, etc fees if something catastrophic happens to your home. 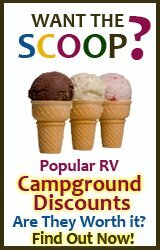 This coverage is available, but the typical RV company will not offer it to you. So we now know just how important RV motorhome insurance is, and the difference between a typical policy and the coverages it commonly leaves out. So where do you find an RV insurance professional who can get you the best policy at the best price? There are a handful of good companies out there. These are a few that we know of. Go to their sites, check them out, get a free quote. This is the best way to talk to real RV insurance professionals. 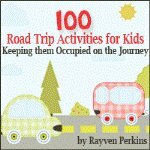 This site, RV Travel with Kids, is all about finding the best methods and easiest ways to full time RV travel. We love sharing our experiences with you, but ours aren't the only ones. We also want to make this a place to learn from one another. If you have had experience, either good or bad, with a particular RV insurance professional or RV motorhome insurance, please tell us your story. It can be bad (or good) customer service at the purchase point, or it can be a story of a shining star (or muddy rock) when catastrophe struck. Your experiences help us all. Please share. 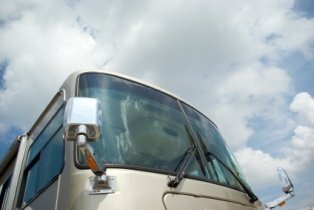 What RV Insurance Provider Do You Use? 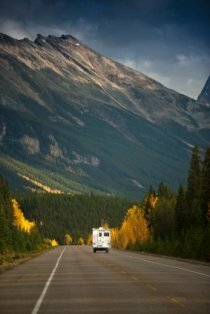 Do you have a great (or not so great) experience with full-timers (or part-timers) RV insurance? Share it! Do you have a picture of your rig or your family that you'd like to share? Great! Click the button and find it on your computer. Then select it.